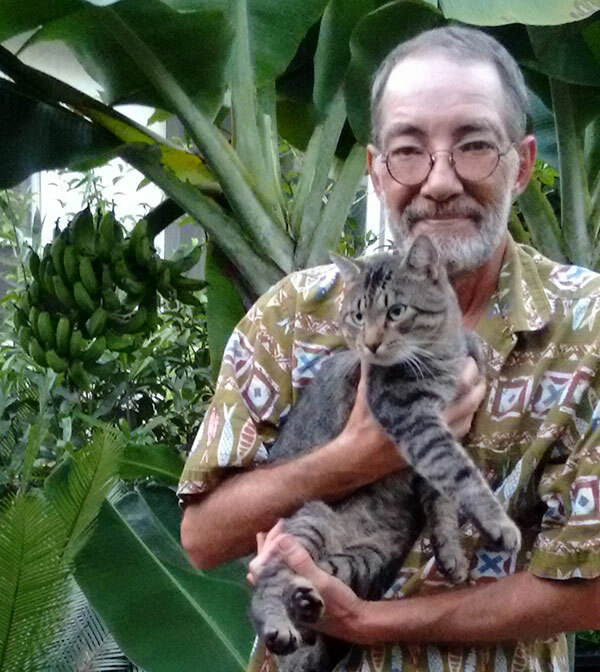 Mark Hooten has been fascinated by horticulture since childhood, with interests including tropical fruits, cacti, ethnobotany, entheogens, and variegates. 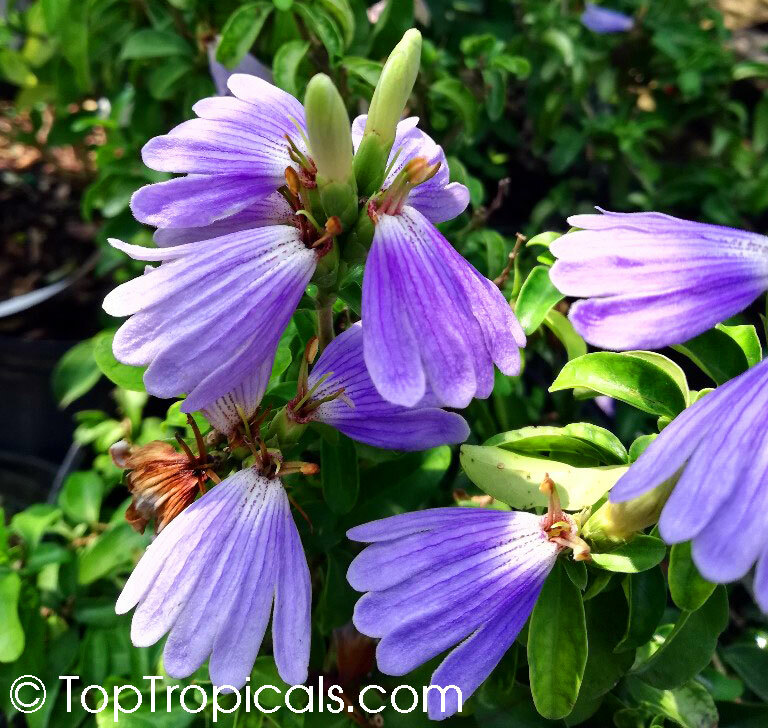 Having been employed in both FL and CA by botanical gardens and specialist nurseries as horticulturist, manager, propagator, and consultant, he is happy to speak with fellow plant worshipers at TopTropicals Nursery. Mark is currently busy writing a volume on the complicated history of croton varieties. His passions are plants, cats, and art of painting. I have been working professionally with rare tropical plants for literally decades; at nurseries, garden centers, and botanical gardens. I have personal experience with so many kinds of unusual plants that it is difficult for me to now run across one which blows me away. 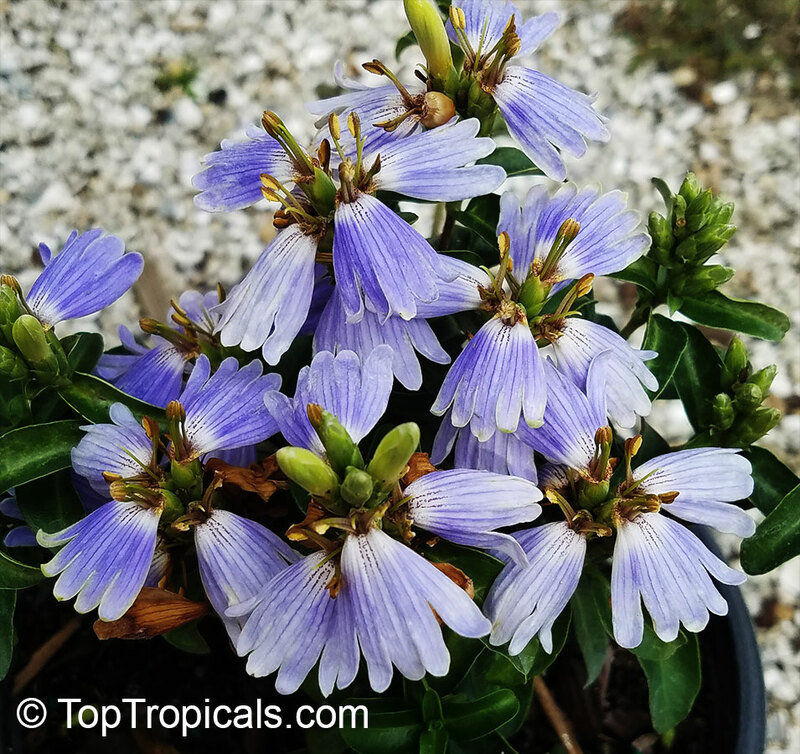 However, since I have been so fortunate to now be at Top Tropicals, there are numbers of rare botanical jewels which I have only recently come to know. There are still many with which I am just now familiarizing myself. This is a great joy for an old guy! A few months ago while working among the bewildering array of great plants we grow, I began to notice wafts of a very unique fragrance. The scent seemed somehow familiar, yet for the longest time, I was unable to determine what kind of plant it was emanating from. I knew it was somewhere toward the back of the growing houses, but just couldn't determine its source. The fragrance is very distinct and wonderful, and could be detected over a large area. Sometimes I would notice it in one area, and other times somewhere else. At one point when I was in that region of our growing area, a customer noticed the fragrance and asked me what it was. I walked over to where that person was, inhaled deeply, and recognized it as that same, nearly intoxicating, exhilarating scent. I had to rather embarrassingly explain to that person that even though I am the horticulturist and have experienced that fragrance many times, I actually had no idea from which plant it originated. Together we walked around sampling the possible scent of everything we could find which was flowering, but sadly, without any luck. Then, a few weeks later, I happened to lean over a grouping of Sclerochiton plants, and THERE IT WAS!!! It's a rather small bushy plant with very small, almost boxwood type deep green leaves which seem to produce a nearly constant display of comparatively large, true periwinkle-blue flowers which emit their mind-blowing fragrance from morning until late evening. That scent is hard to describe, however I would suggest a mixture of Lavender and old-fashioned florist violets. It's one of the most compelling fragrances I have ever experienced and "travels very well". Even better is that it is a shade lover, apparently not bothered by insects or fungus, and, I'll bet dollars to doughnuts that it would make a great houseplant. 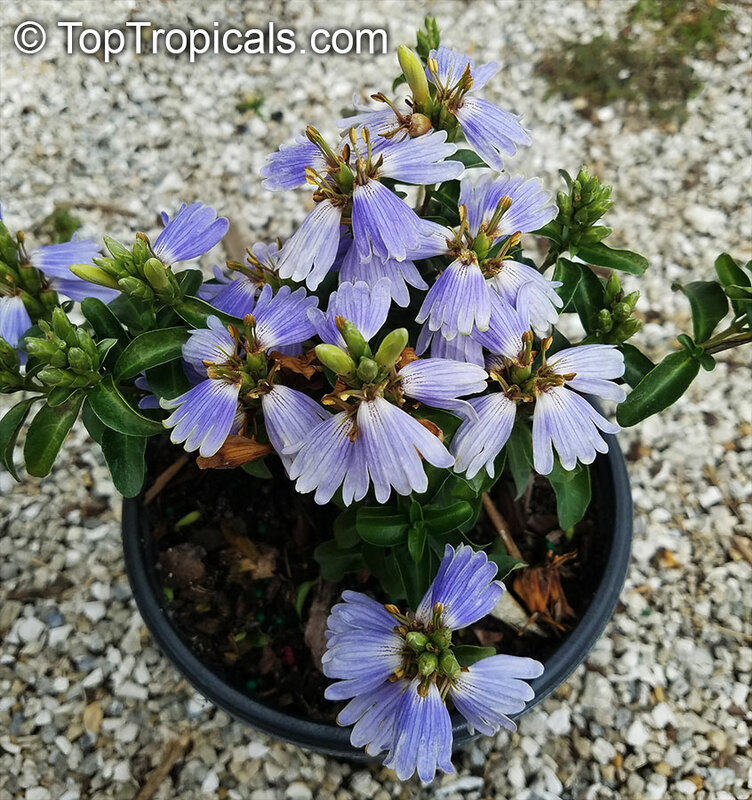 This might be the first flowering plant I have encountered which I might rate a full 10!